The Rivers State chapter of the Peoples Democratic Party, PDP, has again berated the All Progressives Congress, APC, in the State for criticizing the appointments of the former State Chief Judge, Hon. Justice Iche Ndu and former President of the Nigerian Bar Association, NBA, Chief Okey Wali, SAN, as members of the National Judicial Council, NJC, Judicial Ethics Committee. The State Chairman of the Party, Bro Felix Obuah, in a press statement signed by his Special Adviser on Media and Publicity, Jerry Needam, said for opposing the appointments of Justice Iche Ndu and Chief Okey Wali, SAN, APC has further demonstrated its ungodly resolve not to see any good thing come to the State. According to Bro Obuah, to stand against anything good in the State to discredit the nationally acknowledged good efforts of Governor Nyesom Wike and the penchant of blackmailing illustrious and respectable senior citizens of the State, in the persons of Justice Iche Ndu and Chief Okey Wali, SAN, is not how to play politics. It's also shocking the State PDP boss further noted, that Justice Iche Ndu who is internationally revered as a reputable jurist and who was the State Chief Judge throughout the Rotimi Chibuike Amaechi administration and was never found lacking could be so insulted by the APC in the State to the point of asking the NJC to remove his name from the list of the Committee members. The PDP is further shocked, that Chief Okey Wali, SAN, who emerged the President of the Nigerian Bar Association in 2012, during the administration of Rotimi Amaechi, as Governor of Rivers State, could also be insulted by the APC. The only thing that could be fathomed from the APC's opposition of Justice Iche Ndu and Chief Okey Wali, SAN, appointment by the NJC is that both the honourable Justice Iche Ndu and Chief Okey Wali, SAN, might have refused to play dirty and allow Chibuike Amaechi and the APC thwart the course of justice, while he served as Governor in the State, Bro Obuah declared. The State PDP chairman regretted that the APC seems to be stopping at nothing to denigrate and malign all the notable and respected names and men of integrity by whom the State is recognized and appreciated in the comity of States and wondered what it (APC) wishes to achieve with all this character assassination of these respectable ambassadors of the State. More disturbing, Bro Obuah noted, is that, there is hardly one name that is worth its salt within the APC that has ever or will ever bring honours to the State as these reputable statesmen, the APC is trying to vilify and crucify on the altar of bad politics, have done. 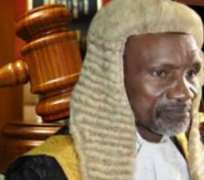 While appealing to the Rivers people, the NJC and the entire country to discountenance the malicious and baseless pronouncements on the appointments of Justice Iche Ndu and Chief Okey Wali, SAN, by the NJC, the State PDP boss said the politics of hate, bitterness and manhunt for perceived political enemies being foisted on Nigerians will tarry only for a short while, believing that in the end victory will be on the side of the greater majority of the Nigerian people against the wicked, unpatriotic few, represented by the APC.